John Travolta’s first California-filmed television role was as a fall victim in Emergency!, in September 1972, but his first significant movie role was as Billy Nolan, a bully who was goaded into playing a prank on Sissy Spacek’s character in the horror film Carrie. 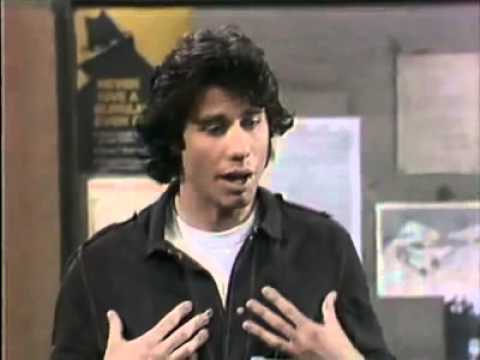 Around the same time, he landed his star-making role as Vinnie Barbarino in the TV sitcom Welcome Back, Kotter from 1975 to 1979, becoming a beloved character in one of my fave shows growing up. He played a cocky Italian-American, and “unofficial official” leader and resident heartthrob of the Sweathogs, and watching the screen test below, he was made for the role.